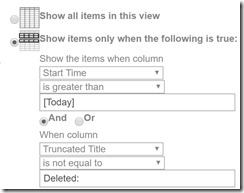 If you delete the “Deleted:” item, the recurrence you deleted for Tuesday comes back. 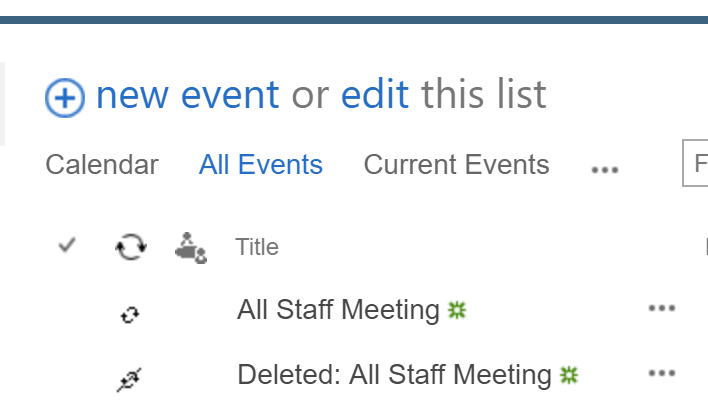 So the Deleted titled event needs to stay but how do you filter it out? If we look at the filter options available for the view, notice there is no option that says “starts with”. 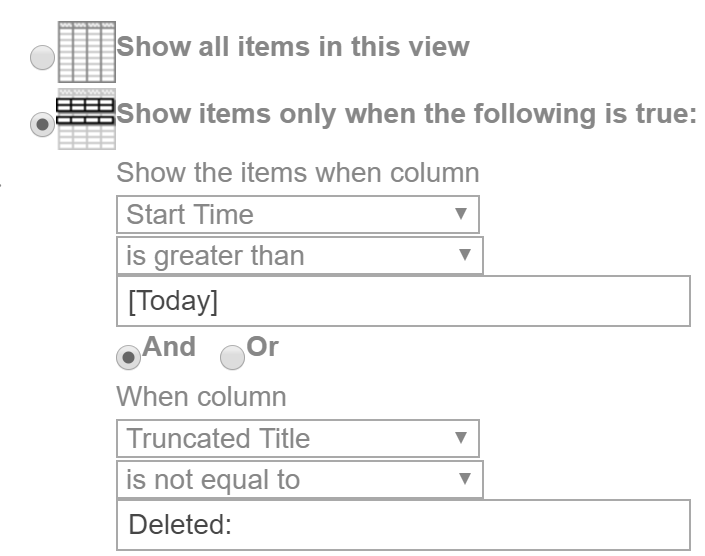 Now go edit your view, and for the filter, set it where the Truncated Title column is not equal to Deleted:. Click Save, and our delete item is gone! « Happy St. Pat’s Day!